The main factors boosting the demand for spray drying equipment is the fact that this form of drying helps in increasing the shelf life of products, thereby helping in logistics. The damage caused on products by spray drying is minimal and therefore the demand for spray drying equipment is anticipated to soar in the period from 2017 to 2025, in comparison to the heat drying equipment. 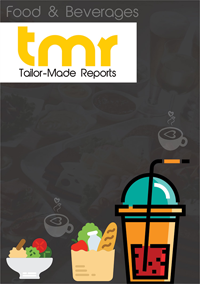 The growing demand for ready to eat food products and urbanized lifestyle are two other factors responsible for the demand for these equipment. In addition to these, a growth in disposable income and increasing health awareness among consumers shall drive the growth prospects of the global spray drying market in the near future. Spray drying remains the most preferred technique for drying thermally sensitive materials such as foods and pharmaceuticals, which is expected to boost the demand for spray drying equipment. They are also used extensively for drying industrial items such as catalysts. The report also enlists key factors hampering the growth of the global spray drying equipment market in the years to come. High maintenance cost of these equipment is one of the key challenges. In addition to this, the operating cost of spray drying equipment is also high. However, looking at a positive outlook, the flourishing food products industry will drive the growth prospects for the market as spray drying is increasingly adopted for food encapsulation. The global spray drying equipment market is slated to expand at a good clip in the near future. The different types of equipment available in the market are rotary atomizer, nozzle atomizer, closed loop, fluidized, and centrifugal, among others, including customized and laboratory-specific mini spray dryers. Among them, the nozzle atomizer spray dryer, which are needed for products which require the consistency of a coarse powder, holds a leading share in the market. The powder spray dryer is mainly applied in food products that are sensitive to heat. A report by TMR Research throws light on important facets of the global market for spray drying equipment. It furnishes a qualitative analysis of the growth drivers and restraints in the market and chronicles the prevalent trends in it. The report is a comprehensive collection of historical, current, and projected data about the market. It offers an assessment of where the market stands today and where it is headed. The report also offers a detailed assessment of the competitive landscape and identifies key players contributing towards the growth of the global market for spray drying equipment. Market-leading analytical tools have also be been leveraged to gauge the opportunities and threats awaiting players. Majorly boosting the global market for spray drying equipment is the soaring popularity of ready to-eat and functional food and beverages. In fact, the food industry is slated to account for maximum share of the market in the years to come because of the widespread use of spray drying equipment in different processes, ranging from producing food ingredients to conversion of vegetable and fruits juices into instant mixes, drying of eggs and milk to dairy products, and instant coffee mixes. There are three main drying stages – single stage, two stage, and multiple stage. A noticeable trend in the global market for spray drying equipment market is the swift adoption of two stage spray dryer resulting in the segment outpacing the others in terms of growth. In fact, the spray dryer equipment market has been boosted by the application of more than one stage drying process in the food and pharmaceutical industries. North America, powered by the U.S. and Canada, accounts for a leading position in the global market for spray drying equipment. This is because of the major demand for liquid milk alternatives and other diary products in the powdered form, which require spray drying equipment. The U.S. also has a substantial market for food ingredients and food additives which require spray drying for the desired consistency minus loss of the properties. Industrial applications also helps augment the market in the U.S. In the years ahead, however, Asia Pacific is slated to outshine all other regions in terms of growth. China is expected to be the engine for growth in the region because of the explosive demand for milk powder. In the Rest of the World, Africa is a crucial market due to the growing coffee production. Some of the key players competing in the global market for spray drying equipment, profiled in the report are SPX Flow Technology, Dedert Corporation, European Spray Dry Technology LLP, Changzhou Lemar Drying Engineering Co. Ltd., Acmefil Engineering Systems Pvt. Ltd., and New AVM Systech Pvt. Ltd.